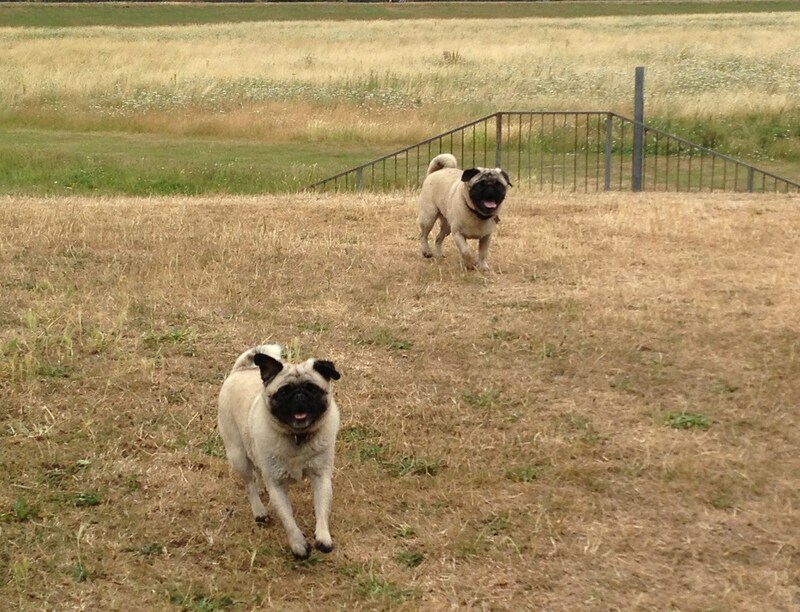 I am an author, mum, wife, keen gardener and proud owner of the pugs! My debut Novel is Siblings and Secrets. Siblings and Secrets is a book about a family of five, it explores their inner feelings and the jealousy that comes between them. Each of the members have their own secret, it is a secret that only they can bear but as the book evolves somebody else becomes involved. And this somebody brings tragedy and one by one the secrets that have been hidden away for years begin to unfold, but instead of tearing the family apart their love for each other doesn't shatter and their family bond brings them closer together. Yet again somebody has given another 5* review with Amazon. Here are some of the things that you have said. Great read, a real page turner, could not put it down. Would highly recommend it!! Cannot wait for the next book!" Very well written and really enjoyed it cannot wait for next book to come out, the story line was very good." An interesting new novel which tells the story of brothers and sisters who visit Hollywood to see a brother who has become a major film star. It is part family drama and part thriller with a strong plot which kept me guessing. From my male perspective, it sometimes dwells over long on glamorous descriptions ( although female readers may disagree ) but nevertheless, I really enjoyed it and will look forward to the next book by E. Gibbs." Could not put it down. Congratulations"
I cannot wait for the next book by E Gibbs. I really enjoyed this. I did not like the cover it was a bit off putting, but the reading EXCELLENT"
And so the list goes on...When will you take a peep??? And for any authors that have written an eBook this is a great site to promote your work. The submission process is easy and they reply to your e-mails almost immediately just click on the link below to get your kindle books noticed by a greater audience. What if you discovered you had lived another life—a past life? Many people believe that we have all been here on earth before, with a different name, different life. Some live their current lives believing they'll be reincarnated after death. This past life theme is prevalent in movies, television ad novels, including the new supernatural suspense White Heaven Women by British author Jessie B. Tyson. 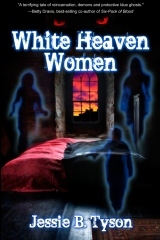 White Heaven Women is a gripping tale set Whitehaven, Cumbria, UK. Flashing between 1899/early 1900s to 2000, readers are introduced to two sisters, Beth and Sarah, and the fate that awaits them. In the year 1899, in Whitehaven, Cumbria, UK, Lady Constance Witherspoon, only 14 years of age, gives birth to twin girls during a tumultuous storm. Lady Elisa (Beth) is born with a diagnosis of demonic possession, while her twin, Lady Sarah, is crushed and killed when the ceiling collapses in the storm. In the year 2000, Sally Witherspane returns home to Whitehaven and is haunted by relentless nightmares about demons and a baby crushed at birth. To discover the meaning of these dreams, she seeks the help of the local psychic, who instructs Sally to attend a past life meeting. It is there that Sally meets Beth Witherspoon. Persuaded by a ghostly blue apparition, Sally documents a family history filled with deception, abuse and an ancient evil, and she must summon strength and faith to become the woman she is destined to be, one of the last descendants of the White Heaven Women. White Heaven Women is available in Kindle, Nook, Kobo & MOST e-reading apps from Amazon, Smashwords and Createspace. A paperback edition is available from Amazon, Barnes & Noble and other retailers. Let's go back to Siblings and Secrets I've introduced you to the characters and you've read an excerpt of when Lucy met Mike. There's something about Michael that Boris doesn't like or it could be that he doesn't like him getting too friendly with his baby sister, Lucy. And what do you think about poor Wendy MacMillan? She's had a tough life, hopefully it may get a little easier for her, especially when she learns how to dress and act like a lady! Now I think it's time to talk about Roxy. She's flamboyant and theatrical and loves to be the centre of attention. She's self assured and full of confidence and dresses in such a way that she leaves little to the imagination. Men love her flirtatious moves and flock round her like bees to a honey pot! Roxy lives in Malibu, she says she lives there to be near her brother Boris, but everybody knows she relishes the lifestyle that Boris has become accustomed to and Lucy knows she's only there in the hope of finding husband number four. Deep down Lucy envies her sister and wishes that she could be more like her, but when Roxy meets Mike, Lucy begins to resent her continual interference and believes there is something going on, especially when Mike constantly bows down to her every whim. 'Roxy was depressed and feeling extremely sorry for herself, so without thinking of the consequences she wiped her eyes and shook her hair and walked into the bar as bold as brass. She knew what she wanted and more to the point she knew what she needed and she wasn’t afraid in asking for it. So she marched up to the bar and said in a very loud voice “can anybody give a girl what she needs?” Everybody looked up at her and most people looked away again, except for one person, a guy in the corner, he was casually dressed in jeans and a t-shirt and he ambled over to her. He eyed her short skirt in an approving manner and sidled up to her, running his hand across her buttocks as he did. “Depends on what you have in mind” he said. 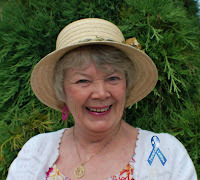 Roxy gave a coy smile and offered him her arm which he gracefully accepted and walked her outside to his waiting car. Please feel free to leave a comment. I'd love to know what you think. This article is all about time management and how to run a successful family and make time for a second career or write a debut novel. Firstly I have to set myself targets, for example: today I'm going to hoe the vegetable patch and write 1500 words on my new novel. 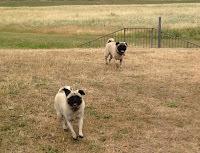 Tomorrow I will weed the alpine bed and will write a new blog and on the 3rd day I shall take Bill (the pug) to have his nails clipped and write a further 1000 words and so the week goes on. I'm lucky in the fact that my job as a civil servant, allows me to be home by 3.45pm at the latest, my husband and sons are home from about 6pm. Which gives me at least two hours and fifteen minutes to take the dogs out and cook the dinner and once that's done my time is my own. The only trouble is when I get round the field and meet up with my dog walking friends, that two hours is easily swallowed up and then I turn into some sort of superwoman, or more to the point an irate, frustrated, grumpy old woman, who's moaning because there's not enough hours in the day! Mostly in the mornings before work I have prepared dinner or at least taken the meat out of the freezer so I know what I'm cooking. So when I'm late back from my dog walking exercise it's just a matter of peeling some spuds and turning the oven on. 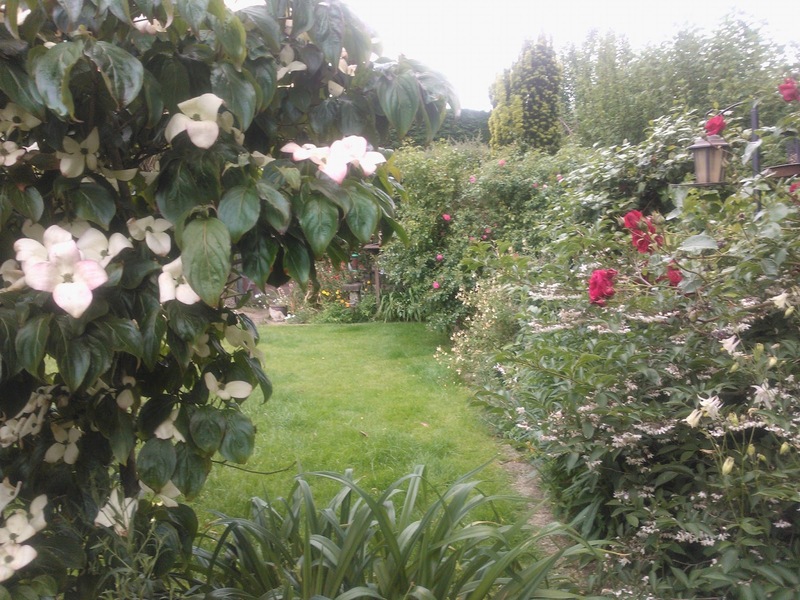 And as for the gardening I have been known to go out at dusk and weed by candle light - don't mock, it's very relaxing, except for the midges that tend to come out in force and eat you alive, (so be sure to smother yourself in insect repellent before you go out at night). Saturday mornings are dedicated to the housework, this is when you see me in my pj's and running around like a headless chicken, mostly my husband is working, but on the rare occasions that he isn't, he will lend a hand (although to be truthful, his hand is often a hindrance more than a help. But he is good at cleaning the oven!) However on a typical Saturday when he's at work and my sons are sleeping off the Friday night experience, I have my own routine, where I start downstairs, normally in the kitchen, that way the floor can dry properly by the time the family begins to stir. But there is also an underlying plan to me starting downstairs and that is, when I get the hover out and start vacuuming, the noise that's heard upstairs to my sleeping boys, is a muffled drone. So without them realizing they are beginning to wake up, which means by the time I get the hover onto the landing they've already woken up naturally (and my kitchen floor is dry so they can make their own breakfast - they are in their twenties!) The rest of Saturday is spent writing or gardening. Bliss! Sundays are spent with hubby relaxing or visiting family and friends, but still walking the dogs and doing the garden and perhaps writing a few hundred more words. So now the dogs have been walked and we've eaten our dinner. It's my husbands job to clear the dishes and load the dish washer (he has a knack of squashing everything in so they all come out clean). And while he's doing that I pop out to the garden and tidy up a flower bed and then my son asks my if I could just iron his shirt, or my elderly neighbour asks if I could pop to the shops, or my mother asks me to look something up on the internet, or my friend phones for a very long chat! But eventually it's my time to sit with my laptop and write, I need to do those 1500 words but Coronation Street is about to start, this is where I have to be brutal. I've tried writing and watching the telly but to be honest it doesn't work. I've also tried writing after Corrie, but something else comes on that you want to watch and then I've said I'll do double tomorrow but that doesn't materialize either. So the only thing you can do is to turn the TV off (or go into a separate room) and knuckle down to the fifteen hundred words. Or better still keep to your agenda, if you're late back from taking the dogs out, cut out the gardening, you can do that at the weekend! The most important thing is not to feel rushed. Learn to say NO and doubly important learn to ask for help. Tell your hubby or your sons "I'm late today could you please help me by peeling the potatoes or watering the plants in the greenhouse". If you explain you will be less likely to get into a bad mood and cause an argument and then nothing will get done. So the bottom line of it all is to set yourselves targets, plan what you want to do and when you will do it and don't be afraid of asking for help or simply saying "No I'm sorry, but I haven't got the time". 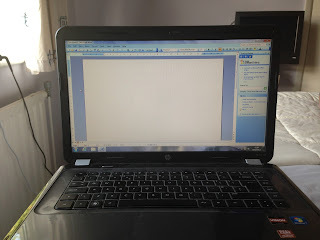 I came across a good article by Nick Thacker '7 hacks to get you writing faster' take a look it's well worth reading he gives some great tips. You can now buy Siblings and Secrets in paper back from Lulu.com and as a special thank you if you buy now you can benefit from a 25% discount. What can we write when we have nothing to write about? We've all done it, it could be a short story, or a post on your blog, we know we should write but what can we write about? The first thing we do is get out our pen and paper or fire up our laptop and then we sit and stare at the screen and think. And when nothing comes into our head we think again. By now its four o'clock in the afternoon, we realize that we've sat there for five hours and the screen is still empty. We know we need some form of inspiration, but how can we get inspired? In the end you close up your laptop and throw your paper away and then take the dogs out and cook the dinner. And when we've done all of that, it will be time to watch Coronation Street and after that we'll be too tired and we'll think 'oh well there's always tomorrow'. The thing is, inspiration is all around us - let's analyse our day sitting at the computer, staring at the empty screen. Firstly we got up out of bed and probably made a cup of tea or coffee, I like black coffee first thing in the morning and while the kettle is boiling I'll open the back door and take a stroll up the garden path. My two little dogs join me and sniff around the plants before they empty their bladder and chase the early morning birds that are pecking the grass for their breakfast worms. Could this be inspiration? Could it be these birds are starving and will do anything for their next meal and what about the dogs? The rich and wealthy who threaten the poor and chase them away. Next I go for my shower, could this be a torrential downpour that our starving family have to overcome? Or perhaps they're in a boat, sailing away to a better life. I pour myself a bowl of muesli and flood it with the milk, the oats and dried fruits float to the surface, perhaps our family have been washed overboard or clinging to a wooden raft. Now I'll fire up the laptop, fire being the operative word and while I'm sitting staring at the empty screen a fly hovers above. (Helicopter, rescue!) and soon it's lunch time and my belly gives a rumble. Our starving family have been saved and are now busy eating their first proper meal in over a week. The phone interrupts my thinking, 'PPI'! Could this mean that from years ago somebody has left our family an inheritance? Yes of course, they're not poor and starving now and this time when I close down the lid of my computer I'm assured that my story has been saved. So what can we write when we have nothing to write about - probably the same as what I've written here! Inspiration is all around us and it comes in many forms!